If you’re searching for a unique space to hire you’ve come to the right place. 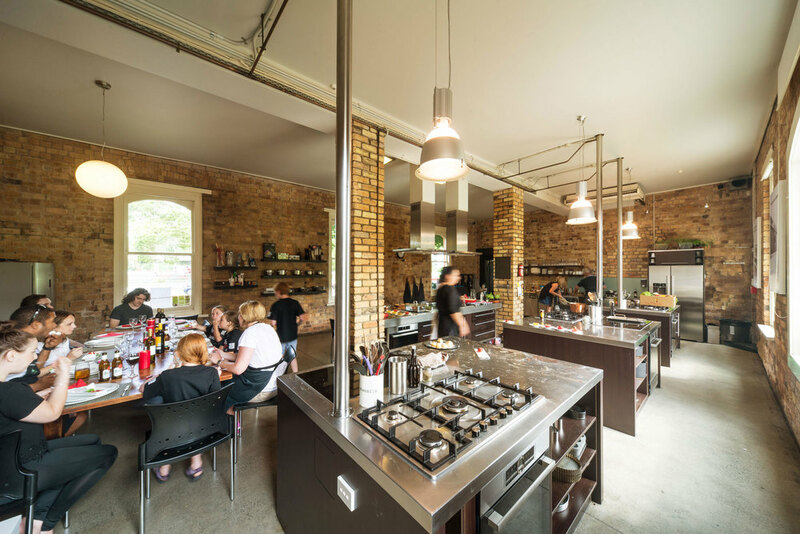 Our classic brick open plan kitchen has been the scene of photo shoots, film shoots, product launches, focus groups and creative brain storming sessions. Our long list of clients include L'Oreal, Sunbeam, Vodafone, Yellow Pages, ACP Media, Telecom, ASB, Vero, IAG, Lion Nathan, Air New Zealand, TVNZ and Fisher & Paykel. "On behalf of the Netball New Zealand team, thank you for looking after us so well yesterday and teaching us how to make some fabulous, yet easy to prepare finger food. You have a wonderful venue and the team thoroughly enjoyed themselves." The Main Course space is also available on weekends. We have a standard hourly rate that includes the use of our equipment and a kitchen technician to clean down after you. Then just choose from our optional extras list to create the right event at the right price. Easy!